Muqtada al-Sadr comes from a family of martyrs: his father, Mohammed Sadiq al-Sadr, was the leader of a Shia religious revival in the 1990s which became so threatening to Saddam Hussein that he had the cleric murdered, along with two of his sons. Muqtada’s father-in-law and cousin was Mohammed Baqir al-Sadr, a revolutionary leader and thinker, who once said: “If my little finger was Ba’athist, I would cut it off.” He was executed along with his sister by Saddam in 1980. It is a measure of the contradictory nature of the US-led occupation of Iraq that within a year of the 2003 invasion, American officers were saying publicly that their orders were “to kill or capture” Muqtada, although he came from a clerical dynasty with a record of opposition to Saddam. In theory, the US was nation-building in Iraq. In practice, this turned out to mean that only Iraqi nationalists wholly supportive of US policy were deemed politically acceptable. Muqtada was, and is, always hostile to the occupation. He believes it forced on Iraq a leadership which has stayed in power despite toxic levels of corruption and incompetence. Long before last weekend’s deal on Iran’s nuclear power programme, the Americans and Iranians cooperated uneasily in determining which Iraqis would rule Iraq. Such is the division between Iraqi communities, sects and parties that foreign powers have a measure of control. Perhaps more surprising than Muqtada’s personal survival is the persistence of the Sadrist movement, despite savage repression by Saddam followed by war with the Americans and conflict with the present Iraqi government of Prime Minister Nouri al-Maliki. It survives because it has a leadership prepared to be martyred and a mass following among the poor. The future of Iraq as a united and independent country is endangered by sectarian Shia-Sunni hostility says Muqtada al-Sadr, the Shia religious leader whose Mehdi Army militia fought the US and British armies and who remains a powerful figure in Iraqi politics. He warns of the danger that “the Iraqi people will disintegrate, its government will disintegrate, and it will be easy for external powers to control the country”. As Mr Sadr sees it, the problem in Iraq is that Iraqis as a whole are traumatised by almost half a century in which there has been a “constant cycle of violence: Saddam, occupation, war after war, first Gulf war, then second Gulf war, then the occupation war, then the resistance – this would lead to a change in the psychology of Iraqis”. He explained that Iraqis make the mistake of trying to solve one problem by creating a worse one, such as getting the Americans to topple Saddam Hussein but then having the problem of the US occupation. He compared Iraqis to “somebody who found a mouse in his house, then he kept a cat, then he wanted to get the cat out of the house so he kept a dog, then to get the dog out of his house he bought an elephant, so he bought a mouse again”. When protests broke out in Syria in late 2011, Russia hoped for a short, nasty war as a matter of Russian national interest — just enough to put the Muslim Brotherhood and assorted Sunnis in their place. Violence from its own Sunni Muslim population has plagued Russia for decades. Saudi Arabia took over the defeated nationalist Chechen rebellion in the late 1990s, infusing it with money and Islamist overtones, prompting the second Chechen war. More recently, there has been open fighting and rioting in Moscow between Muslims and Slavs. Iran counted on a short war as well — something to shore up the Shi’ite crescent from Iran through Iraq to Syria and Lebanon out to the Mediterranean Sea. It didn’t work. Turkey and the Gulf States armed and trained various Sunni militias, including the Free Syrian Army, the Muslim Brotherhood, and „foreign“ jihadists of many stripes, including al-Qaeda and Chechens. Keeping Assad armed, fed, and reinforced with Iranian and Hezb’allah troops was an immense drain on the Iranian treasury, already under duress from Western sanctions. More sanctions were brewing in the U.S. Congress, and Iran needed relief at many levels. The question for the Islamic Republic was whether it was possible to protect Assad, put money in the bank, and shore up the Shiite axis without giving up its nuclear program. Enter the United States, seeking and needing a diplomatic success. According to David Ignatius of The Washington Post — the administration’s favorite reporter — the U.S.-Iran deal was cooking in secret as far back as March. Could that account for the fact that although Secretary Kerry announced in April that the U.S. would „arm and train“ Syrian rebels, nothing arrived for them throughout the summer? The first shipments arrived in September, while the terms for the nuclear deal were being negotiated. Could that have been to „remind“ the Iranians of American leverage? Ignatius approvingly called Obama „the covert commander in chief,“ acting „most effectively out of sight.“ Maybe, or maybe those whose understanding of intrigue exceeds his used him. Either way, the president ended up the guarantor of Iranian, Syrian, and Russian interests in the Middle East. Shi’ite interests. No wonder the Saudis and the Gulf States, the Israelis, the Egyptians, and the Jordanians are all furious with the administration, and Turkey finds itself having to cozy up to the Iranians — something anathema to a Sunni internationalist leader. The White House said it was „outraged“ over Syrian chemical weapons use in July, but was the administration being disingenuous when it pleaded with Britain’s David Cameron and France’s François Hollande to support American military strikes on Syria? (Cameron became the first British prime minister to be denied a war vote in the Parliament since 1782. Hollande won his vote, but it was tough.) The White House also asked American Jewish organizations, which had determinedly stayed out of the Syrian civil war, for support on Capitol Hill, and they agreed. Did the president pull the rug out from under them and legislators of both parties by urging support for a military option when there would be none as long as the Iranian negotiations were the top priority? What was meant to be steadfastness that would impress Arab countries worried about American withdrawal had begun to look like sole superpower support of a homicidal maniac. Putin needed American help to make Assad look legitimate and so proposed a deal on Syrian chemical weapons. The White House quickly deferred to the Russian-sponsored proposal that allowed Assad to morph from an „illegitimate“ ruler to a partner in the management of his chemical weapons arsenal. Elements of the deal ensure that Assad will be working with the United States, the Russians, and the U.N. until at least the middle of 2014. Thus did the U.S. save Russia from superpower isolation in support of Assad. And thus has the United States become the guarantor of Assad’s continued rule, allowing Damascus to concentrate on the rebels and perhaps win the war — later than Assad’s patrons (Russia and Iran) had hoped, but win it nonetheless. But there was still the question of money. Iran was increasingly desperate throughout the fall — not only was Syria draining the coffers at an increasing rate, but international sanctions were collapsing the economy at home. The mullahs were not happy with the thought of a civil uprising. The outlines of a deal emerged: Assad would stay, Iran’s coffers would be refilled and its nuclear project continued in most of its important aspects, and Russia would have a partner. And President Obama would get his deal. Not a perfect deal. Not a „this justifies the Nobel Peace Prize“ deal. But a deal. Oh, yes, and the Iranian regime would be safe from military action as long as the conversation continues. Indeed, at least one report indicates that the White House made clear to Israel and Saudi Arabia, who have been huddling in the corner a lot of late, that military action against Iran will not be tolerated. Thus has the United States become the guarantor of the Iranian and Syrian regimes, and of Russian interests in the Middle East. How far we’ve fallen. JERUSALEM — The Israeli government called the deal reached with Iran over its nuclear program a „historic mistake,“ saying it only slows a nuclear program that will still be capable of producing a bomb. 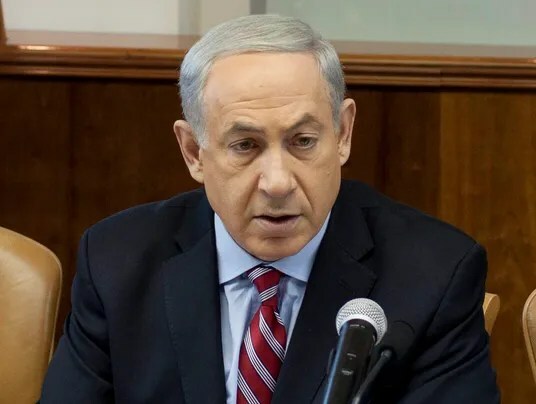 Speaking to his Cabinet on Sunday, Prime Minister Benjamin Netanyahu said the agreement endangered Israel, adding the nation is not bound by the international community’s nuclear deal and reserves the right to defend itself. The White House said the interim deal limits Iran’s existing stockpiles of enriched uranium, which can be turned into the fissile core of nuclear arms. The accord curbs the number and capabilities of the centrifuges used to enrich and limits Iran’s ability to „produce weapons-grade plutonium“ from a reactor in the advanced stages of construction. Iran’s nuclear program will also be subject to „increased transparency and intrusive monitoring.“ In return, the White House said economic sanctions on Iran imposed to get it to curtail its nuclear activity will be eased. Nafatali Bennett, the Minister of Economy and Commerce, said on Army Radio that world powers could have used the talks in Geneva that led to the deal to force Iran to give up its nuclear program rather than freeze it at a point where it can resume work at any time. In early-morning Facebook posts, Israelis compared the deal to the one made by former British prime minister Neville Chamberlain, who brokered an agreement with Nazi Germany in 1938 that did nothing to prevent a world war as promised. He described the deal as an appeasement that will leave the entire world and not just Israel at risk of a nuclear Iran. „It’s truly a major step in the wrong direction,“ he said. Dangerous Times: A Looming Strategic Disaster in the Middle East. 1. Iran will have nuclear weapons, or it will be balanced right on the edge — within one month or less to make nukes. 3. America’s role as a guarantor of peace will be blown, crushed by Obama’s betrayal of Israel and the Arabs. America’s nuclear umbrella, which has kept world from major war since 1949, was always based on trust. Once you blow that trust, the umbrella disappears. 4. The coming victory of Bashar Assad in Syria, supported by Hizb’allah and Iran, will forge the much-feared Shii’ite Crescent that surrounds Israel and directly threatens Arab nations like Egypt, Iraq and the Arabian Peninsula (Saudi Arabia and the Gulf states). 5. Russia will replace America as a more trustworthy major power in the region, including the Eastern Mediterranean. This is not a framework for peace. It is an unstable Rube Goldberg contraption that could lead to total war in a matter of weeks. It will never have the long-term stability of the Egypt-Israel peace treaty of the last forty years. On top of all those balancing acts, Israel will be driven back to borders that are much more vulnerable to Muslim terrorism. World conquest is a basic premise of Islam, and it includes Europe, Russia, and America. The emerging agreement, which will be greeted by the Euro-American socialist media as peace on earth, will be much more like Munich, 1938 — a temporary truce on the way to much more dangerous times. 1. The U.S. and Russia will agree to cut back drastically on nuclear weapons. That has been the major aim of the Russians, because they can defend against a small nuclear attack, but more attacking nukes and missiles will overwhelm any existing defense. This has its own pros and cons, depending on Russian intentions. It is a major draw for Putin, because it reinstates Russia as a superpower on an equal basis with the United States. 2. American power will be deliberately set back around the world, which is Obama’s announced policy. The U.S. will no longer be the guarantor of peace, because (a) Obama has decided to cut down our armed forces to divert money to the new massive welfare state, and (b) nobody trusts us to provide a nuclear umbrella any more. 1. The Iranian nuclear danger will be reduced by a treaty, to be monitored by a great power inspection regime, aided by the UN. Because Russia will be one of the guarantor powers, and because Russia fears and hates the prospect of a radical Muslim nuclear power near its borders, it will want to restrain Iranian weapons development. However, Iran will be able to get real nukes in a month. Other WMD programs (like dirty bombs) are not controlled, especially from rogue forces like the 60,000 Al Qaida gangsters in Syria. Obama and the Europeans will celebrate this as a great victory. But it will be a huge gamble with the security of the world. In the foreseeable future Iran will have ICBM’s that can reach our shores. Hamas and Hizb’allah terrorism will be increased rather than stopped, because that is the routine of every Muslim power in history. For example, Pakistan and India are nominally not at war, but Pakistan has never stopped terrorist attacks on India. That is the standard strategy for Muslim powers, and having nuclear weapons will make terrorism even more attractive. 2. The Europeans will lose the American nuclear umbrella, and will appeal to Russia for nuclear protection. They must also modernize the nuclear capacity of France and Britain, because this will not be a one- or two-superpower world, but an ongoing arms race between multiple powers, all possessing weapons of mass destruction. The UN will pretend to conduct inspections, just as it did in Iraq and Iran, a laughable failure. In other words, this will be a fantasy peace, just as ObamaCare is a fantasy healthcare program. Obama craves the appearance of success, but in truth he never bothers to find out if his fantasies actually work. He is hooked on personal celebrity. Obama is likely to run for UN SecGen after 2016, a major reason for this dreadfully unstable, phony solution to nuclear and missile proliferation. Obama’s personal ambition is a big ingredient in anything he does. The Russians have figured that out, and saw it as an opportunity to reverse their decline as a superpower. Domestically we no longer have a functioning opposition, so that there is no critical thinking about absurd policies any more. That is why ObamaCare is likely to fail over and over again. A number of O’Care „architects“ have come forward in the last week to confess that yes, of course they were lying to Americans about their future healthcare. But they were lying for a good cause, naturally. In fact, they were making wild guesses and now have Americans in a trap. They won’t allow us to escape their fantasy trap no matter how bad it gets. The same mad illogic governs this Middle East „peace“ process. It’s just as phony and destructive as Obama’s medical takeover. The top goal is more power for the socialists. Healthcare and peace are strictly secondary. Unlike most Iraqi political forces, Muqtada al-Sadr’s movement is characterized by its strong grass roots and interaction with the public. It is a populist movement, which has its own particular social and cultural aspects. Sadr acts as a religious reference, political chief and social leader all at once. His answers to the questions of his followers express this spirit. Summary The populist Shiite Sadrist Movement demonstrates its leader’s ability to bring a new dynamic to the political scene in Iraq, which is too often marked by polarization and extremism. On Sadr’s website and social media sites, the Sadrist Movement leader tackles religious, political and moral issues posed by followers. Some ask him about spending the khums, a Shiite religious tax that has been the center of discussion on Shiite jurisprudence. Others raise questions about his stance vis-a-vis Iraqi Prime Minister Nouri al-Maliki’s bid to win a third term. (Sadr insinuated his lack of support for such an endeavor.) Another commented on the reluctance of Sunni clerics to condemn al-Qaeda attacks against Shiite civilians to which Sadr expressed his disappointment and hope that Sunni clerics will do better in condemning extremism. On other occasions, Sadr gives moral recommendations, even related to the importance of cleanliness and humility. In all his replies, Sadr’s public language is marked by simplicity, sometimes even with flawed grammar or spelling mistakes. These practices reflect Sadr’s distinct religious, social and cultural movement, in addition to the nature of his special relationship with his followers. On the one hand, Sadr’s ways constitute an effective interaction method between the head of a movement and its broad masses, clearly communicating the instructions and recommendations of the leader to his partisans. On the other hand, they show an ambiguity — even a confusion — about Sadr’s identity and nature of his leadership. After all, a religious leader’s code of behavior is completely different than that of a political leader, given the disparity of both activities. 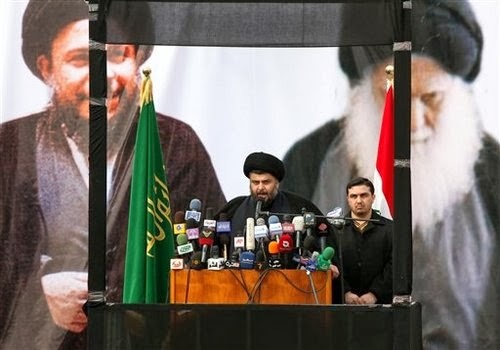 Sadr has tried to deal with this dilemma by publicly delegating the Sadrist Movement’s political committee to supervise and conduct political relations. Nevertheless, the nature of this separation between religion and politics remains unclear, and it seems that Sadr is still reserving the right to take the important political decisions. Obviously, drawing a clear line between Sadr’s religious and political roles is not currently possible. Such a separation could make the movement lose an important part of its political power that stems from religious loyalty to Sadr’s family. Therefore, the movement will keep acting as a political-religious organization that maintains a distinct sociocultural identity. The paradox lies in the fact that this organization, due to its wide and cohesive constituency in the poor and crowded districts of Shiite cities, acts more dynamically than others and has successfully undergone gradual self-renewal. In fact, the Sadrist Movement has witnessed change and circulation in its leadership (except for Sadr himself) more than any other Shiite political movement. Significantly, most leaders in the political organization are relatively young university graduates and are chosen based on competence and loyalty. This is the case, for example, with its current secretary-general, Dhiaa al-Asadi, a Ph.D. candidate at the University of Birmingham. The organization holds regular elections to choose new candidates. Moreover, compared to other parties, it relies on more accurate mechanisms to hold whoever fails or lags behind in their delegated tasks accountable. In parallel, older leaders, most of whom were in exile and do not enjoy wide local support, govern the other parties. For that reason, they focus on patronage to attract followers, and they often do not have the same dynamism and ability to tolerate political changes. However, this growing dependence on young professionals needs to be translated into more sophistication in political behavior. While increasingly opposing Maliki, and trying to reach out to secular, Sunni and Kurdish forces, the movement tends to prioritize local interests. In its public behavior, the Sadrists are inclined to populism and do very little to present a clear alternative vision about key political, security and economic challenges in the country. This populism might mitigate the elitism of other major forces, but it’s far from presenting a clear road map for Iraq’s future. Khamanei: Says "Death To America and Israel"
Israeli Prime Minister Benjamin Netanyahu on Thursday warned world powers negotiating with Iran that an anti-Israel speech by Iran’s supreme leader gave fresh proof over why Tehran must not acquire a nuclear weapon. Speaking to leaders of Russia’s Jewish community on the second day of a visit to Moscow to campaign against an emerging world power deal with Iran, Netanyahu accused Supreme Leader Ayatollah Ali Khamenei of using the lexicon of the Nazi Holocaust. Khamenei told militia commanders in Tehran on Wednesday that Israel, Iran’s arch-foe, was „doomed to collapse“, „the rabid dog“ of the Middle East, and with leaders „not worthy“ of being called „human“. „Such an Iran must not get a nuclear weapon,“ Netanyahu said. After talks with Russian President Vladimir Putin on Wednesday, Netanyahu on Wednesday insisted on the need for a „real“ solution to the Iranian nuclear crisis. Netanyahu’s speech in Moscow came as Iran and world powers were set Thursday to begin hammering out a landmark deal freezing parts of Tehran’s atomic programme to ease fears of the Islamic republic obtaining nuclear weapons. Washington: Nuclear weapons of Pakistan poses more danger to the global security than „over-exaggerating“ threat from Iran, a former US official has said. 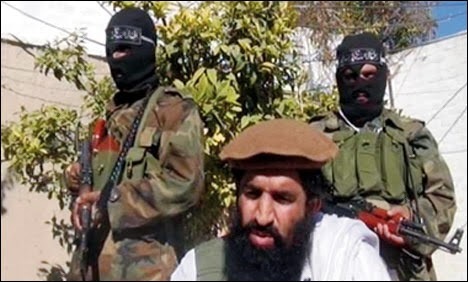 „Are we endangering our own safety and that of Israel by over-exaggerating the nuclear threat posed by Iran while drastically under-estimating the growing threat posed by Pakistan? Someone in authority had better answer that question before it’s too late,“ said Douglas MacKinnon, a former White House and Pentagon official and author of the memoir ‚Rolling Pennies In The Dark‘ in an op-ed on the Fox News on Tuesday. „Day after day, week after week, and now literally year after year, we hear constantly about soon to be unleashed nuclear threat from Iran,“ he said. According to Douglas MacKinnon a journalist in Israel recently sought to remind his nation of the dangers posed by Pakistan. Strange that he would admit that to Clooney and not the American people, but no matter, how right the president was and is to fear the multiple threats emanating from that nation, he wrote. 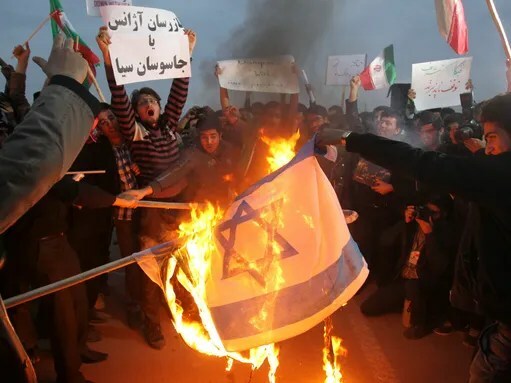 „Going back to the media and politician hype regarding Iran, it is almost always coupled with a mention of the State of Israel. During my time in the Pentagon, I had the opportunity to work with the Israeli Defence forces. Today, I fear President Obama is moving further and further away from supporting our best ally and friend in the Middle East for reasons known only to him,“ he said. „As that reality is upon us, some of the leaders and people of Israel seem to be getting caught up in the same „Iran hype“ which floods our media and losing sight of the more lethal threat to their safety,“ he said. According to MacKinnon, addressing that real threat, a journalist in Israel recently sought to remind his nation of the dangers posed by Pakistan. A few months earlier, Dr Rafael Ofek, a former senior researcher and analyst in Israeli Intelligence and an expert in the technology of nuclear power, warned of the same threat, the former White House official said.